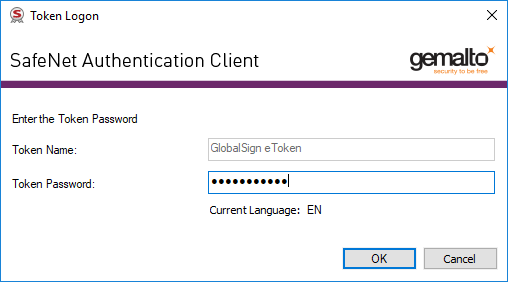 In PDFOne .NET Version 7.6, we introduced support for digital signing using a certificate in the Windows Certificate Store. 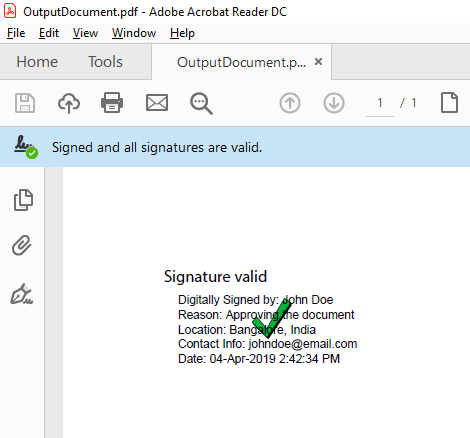 In this article, you will see how to sign PDF documents using a certificate in the Windows Certificate Store which also lists the certificates installed in the USB token when the token is connected to the system. A USB token is a password-protected physical device used to store digital certificates. To sign PDF documents using a USB token, you need a digital signature certificate that is installed on a USB token. USB token based certificates are an implementation of PKCS#11, one of the Public-Key Cryptography Standards. Digital signature certificates are issued by a Certificate Authority (CA). When the USB token is connected to the system, the certificates in the token are added automatically to the Windows Certificate Store under the store name “My”. In order to sign the document using a certificate installed on the USB token you need to know the issuer common name & serial number of the certificate, and a valid password/PIN to access the USB token. You can use PDFDocument.FindCertificatesByName() method which iterates through the certificates in the specified Windows Certificate store to find the certificates that match the search criteria specified by the optional parameters of the method. As a result the method returns a list of string objects with each string object containing comma separated value of the certificate details such as issuer common name, serial number, etc. This API also includes the certificates in the USB token device when the token is connected to the system. The code example below shows you how to use PDFDocument.addSignature() method. * and serial number of the required certificate. 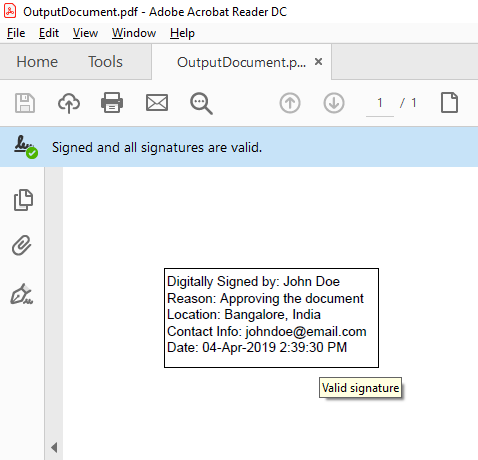 You can load an existing document and sign straightaway using PDFDocument.AddSignature() method. PDFOne will take care of adding the signature field. The code example below shows you how to use PDFDocument.AddSignature() method. * signature details, page number, and location. When the above program is executed, the token’s authentication client may prompt for the password/PIN to access the USB token, if the required certificate to use for signing is available in the USB token. Once a valid password/PIN is supplied, the signing process will be completed successfully. The following code snippets demonstrate couple of digital signing scenarios. Scenario 1: I want to load an existing document and sign it. Then, when I view the output document in consumer applications such as Adobe Reader, I should see the validation result such as check mark over the signature field. NOTE: Usage of this feature is a violation of PAdES standard. * shown when IncludeValidationResultAppearance is true. Scenario 2: I want to load a document and fill an existing blank signature form field. Also, I want to specify that the signature is detached (i.e., the original signed message digest over the document’s byte range shall be incorporated as the normal CMS SignedData field).